One of the things I am always most nervous about when I travel is if I’ll be able to find gluten-free food and whether or not people will understand me when I ask for it. Going to India has been no different. During our first week at the hotel I had a pretty difficult time finding food to eat because they were constantly trying to cater to our American cravings. One night they made some sort of mac ‘n cheese. Another morning they tried their hand at french fries for breakfast. And each day I struggled to explain to them that I could not eat anything with wheat or flour in it. I was nervous during that first week that every day in India would be a struggle to find something to eat. But once we moved out of the hotel into our new homes and began eating out more frequently, my fears were assuaged. Most traditional Indian food is gluten-free naturally. I eat rice and dhal (lentils) at least once a day and there are dozens more starches and grains used here than there are in America so there are even types of bread I can eat. While the other students eat chapati (a flat tortilla-like pancake you can dip in various side dishes) I have been eating bhakiri (a similar bread made from different starches). They rarely use flour to thicken their soups and despite my prediction on the first week that I would lose weight during the next three months, I am now certain I won’t be losing any weight from lack of food any time soon. Since we’ve been traveling with the program director since the beginning of the program she has been helping me to figure out what I can and cannot eat. Before each meal Sucheta finds me to point out what I can eat from the buffet or what I should not take when the waiters bring the tray around. So far, there has been only one gluten-scare a couple of nights ago when I took a bite of potato slices covered in some sort of red sauce. She explained that she thought it was probably safe for me to eat, but didn’t know for sure that there wasn’t soy sauce in it and suggested I skip over the fries tonight. Since then, things have been pretty easy and I find that I really love the food here. 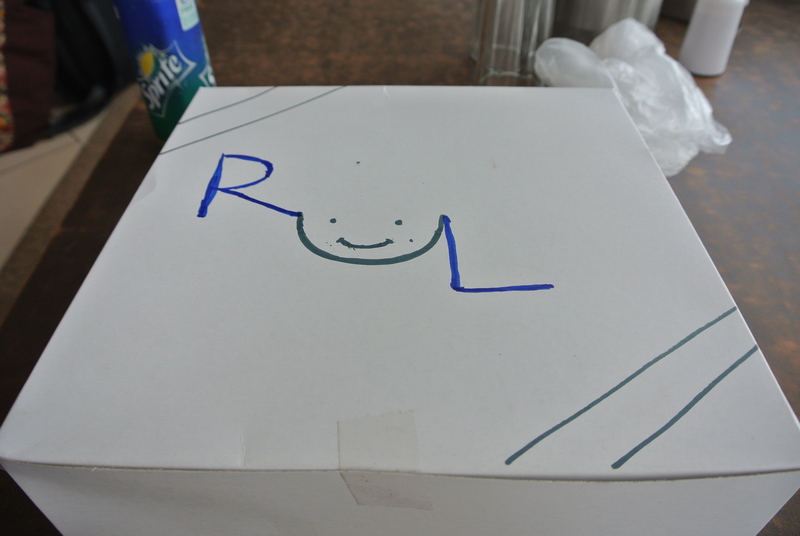 When we have boxed lunches they even make special bhakiri for my lunch and draw a smiley face on the box so I know which one I can eat! Tags: gluten-free, india, pune, study abroad. Bookmark the permalink. You should check out gluten-free language cards before you go if you don’t speak french perfectly. They explain what a gluten allergy is and you can bring them to restaurants with you to make sure your server understands you! Great idea! Thanks. 🙂 And this “over-intake of cheese” sounds like a perfect plan to me! Hi Zozette. Google GF pastry shops and cafes in Paris and you will be a little surprised. Awareness of GF is slowly filtering in Paris. 36 Rue Bichat, Paris -10 Arr. Heralded as first GF bakery in Paris. 21 Rue Bonaparte, Paris in 7th Arr. I haven’t been to these. I visited Paris in 2005 and lived on eggs and big salad, but the above have now sprung up. You may find more on Google. Oh wow! Thanks so much Helen! They look incredible. I”m definitely going to try give them a visit. Much appreciated. Glad to help Zozette. Hope you find something to eat over there. Hi Rachelynne. Enjoyed your post and glad you have found food you can eat in India. It can be so difficult to find GF food when travelling. I have learnt to google first. I recently went to Italy and thought I would have a hard time. I googled before I left (which I have never done before an overseas holiday) and was absolutely amazed that Italians are very conscious of Celiac and GF sensitivities and their children are tested at a young age. It is also great that you have found people in India looking out for you as to what you can eat. Enjoy your travels. Yes, doing research beforehand can take out the stress. Happy travelling. Just Imagine…You’ll Finally be Able to Take a Vacation from Worry.